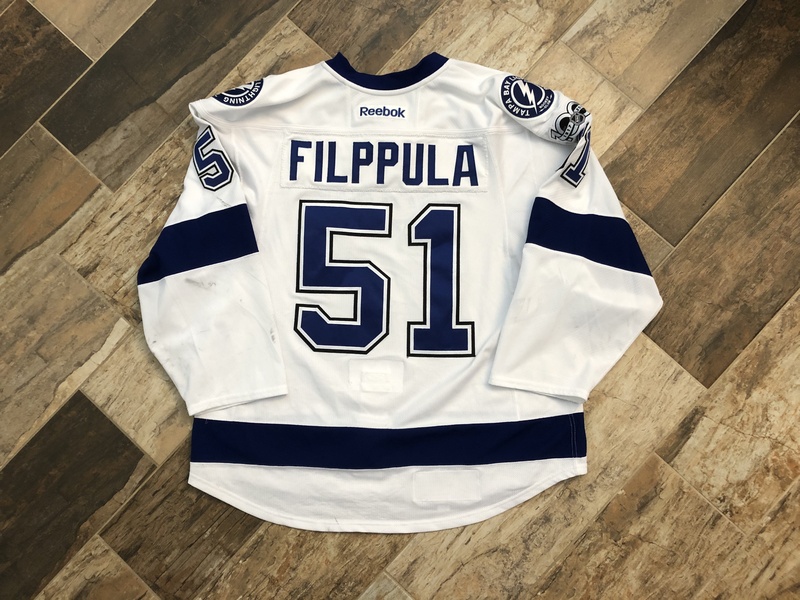 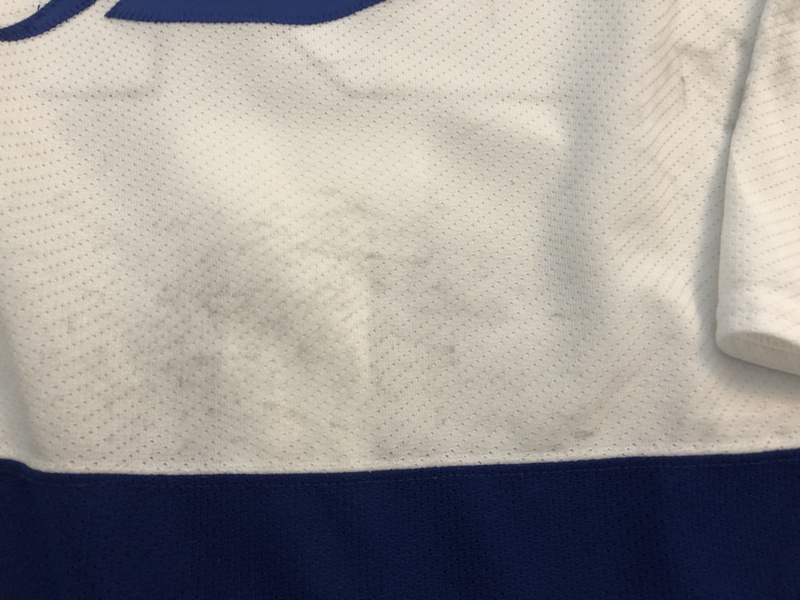 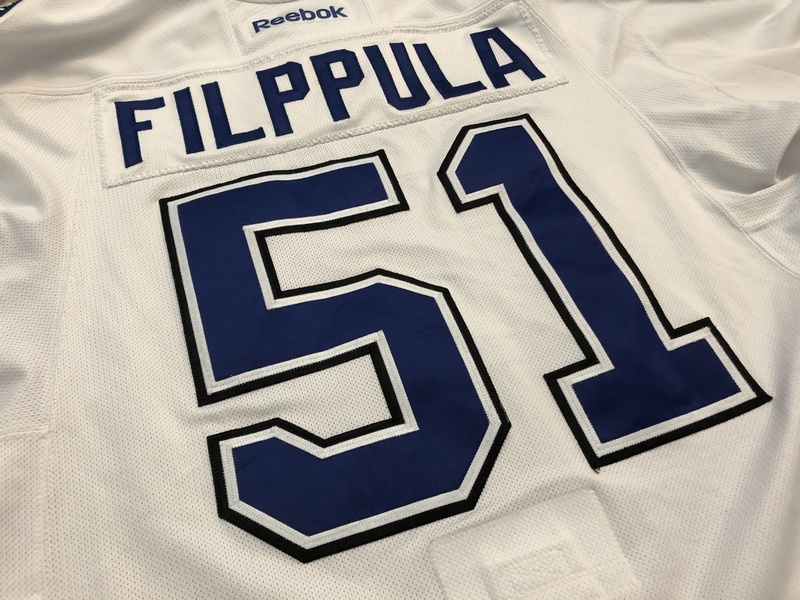 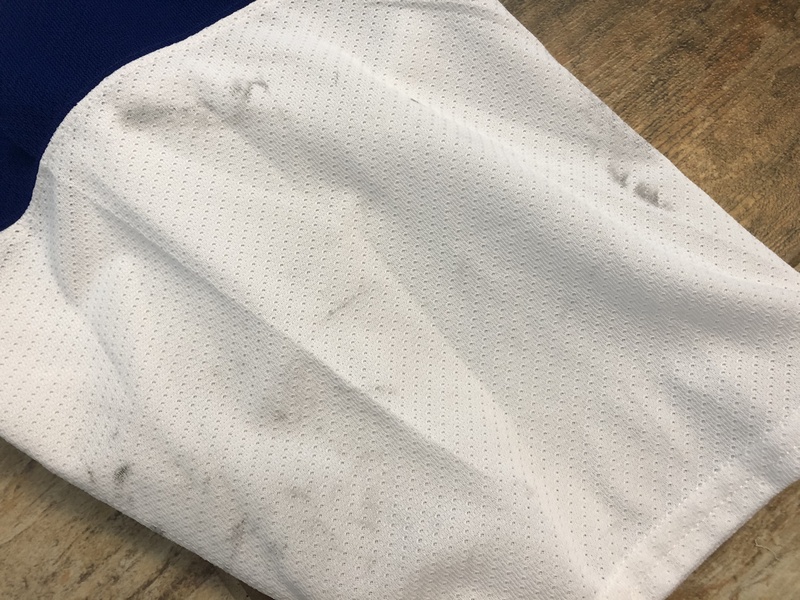 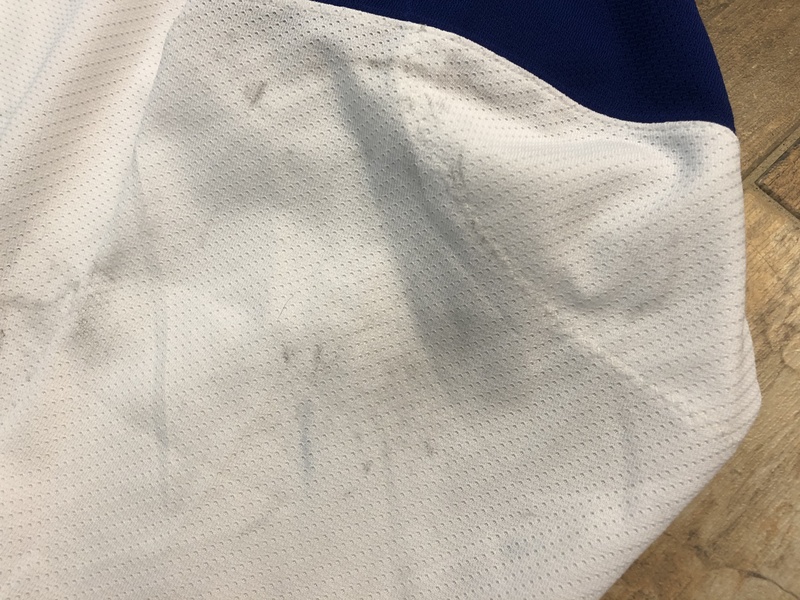 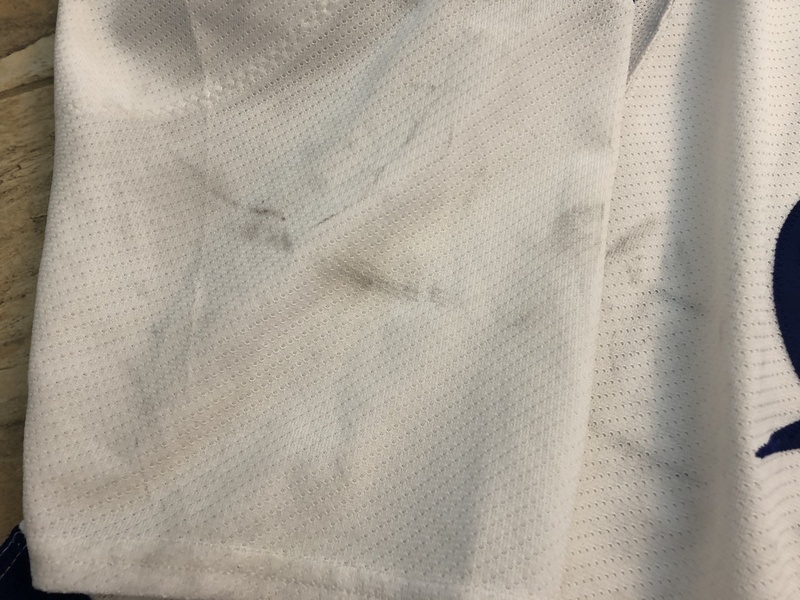 This jersey has a few board burns but, is as expected from Filppula jerseys, it is mainly covered in black marks. 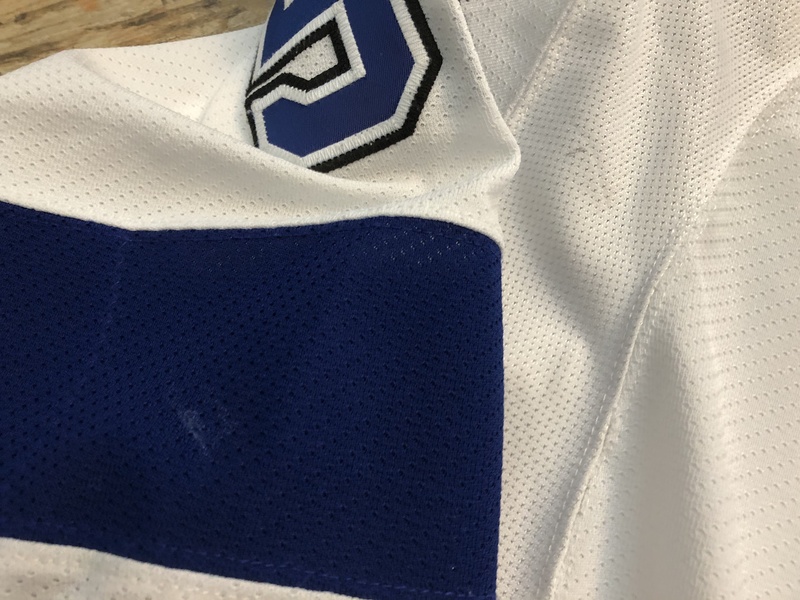 Sleeves and mid section of the jersey are absolutely filthy. 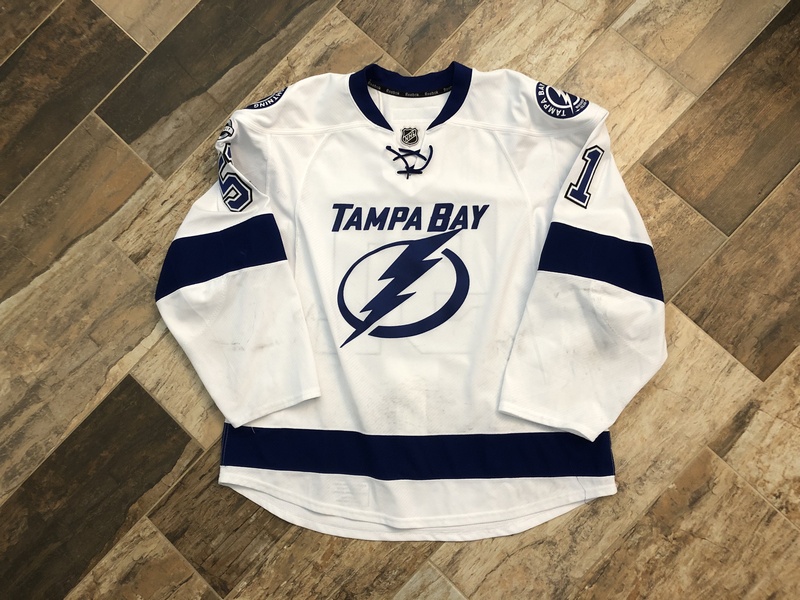 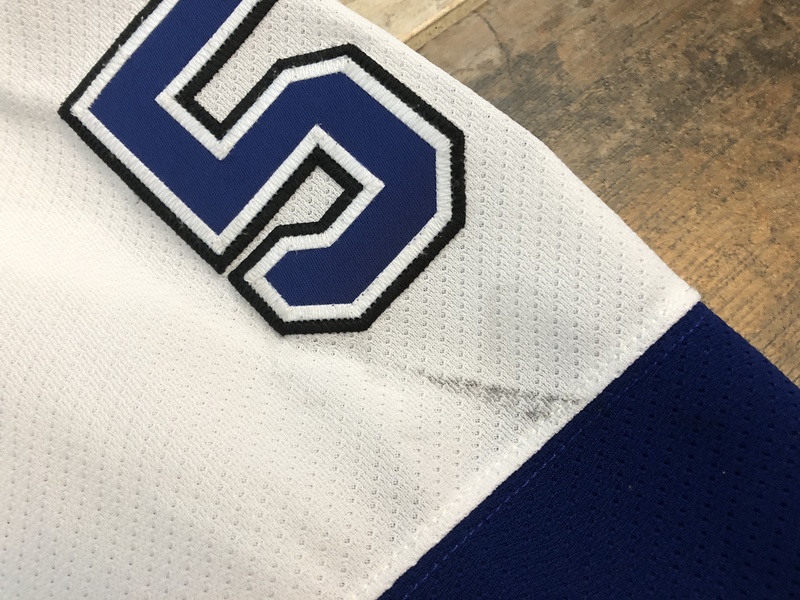 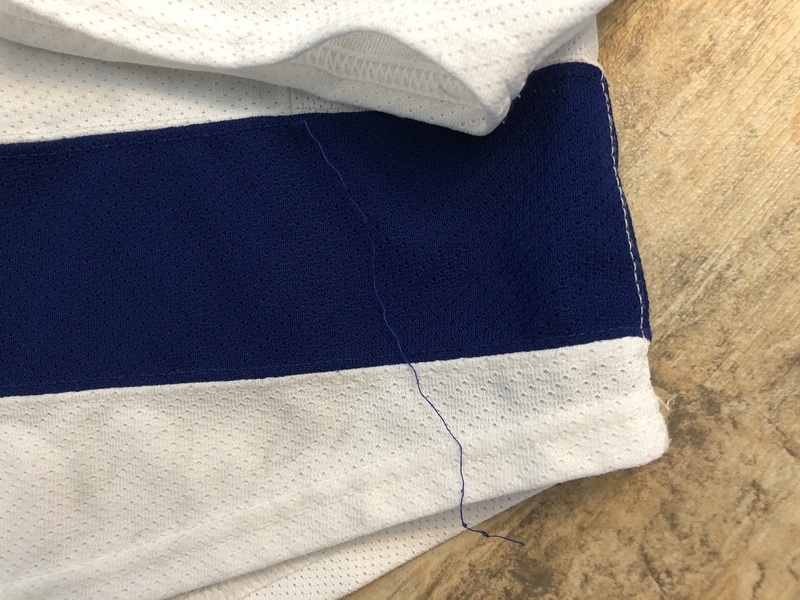 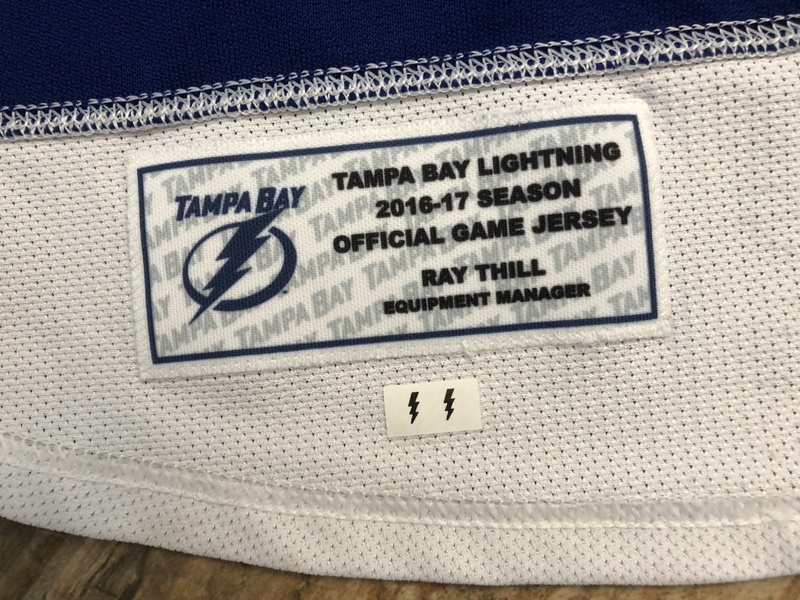 The jersey has the NHL100 patch on the right sleeve, and as is speculated, the double Lightning bolts would seem to indicate that this is Set #2.